In December, 2014, an underwater volcano in the island nation of Tonga erupted. 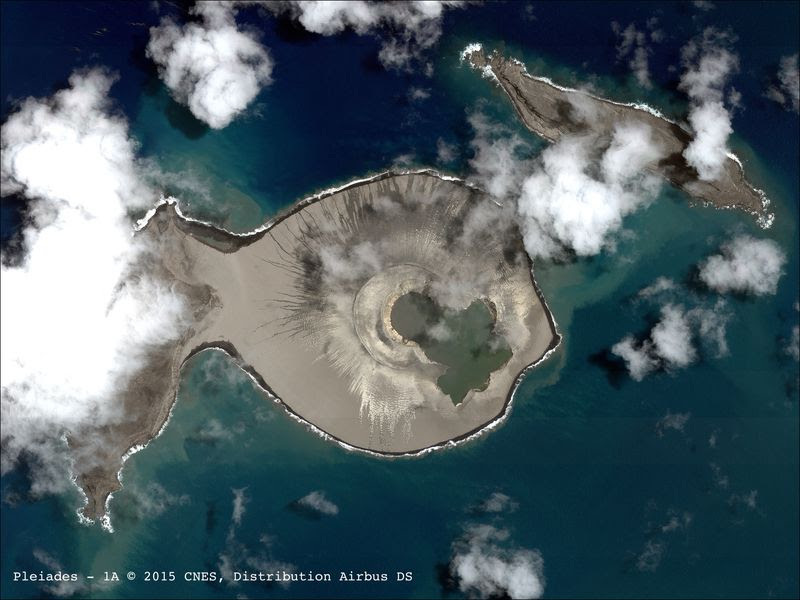 And by January of 2015, the mounting piles of volcanic rock created a circular island. Dubbd Hunga Tonga-Hunga Ha’apai, the island is just a few kilometers wide and was connected to one of two existing islands near the volcano. But the landscape was interesting, with 400-foot-tall cliffs and a crater in the middle. Authorities warned people away from visiting the new landmass since many of these temporary structures erode away in a matter of months, reports Michael Greshko at National Geographic. But almost three years later, this fledgling island is still standing, and a new analysis suggests that the unusual speck of land may persist another six to 30 years. Even more exciting: it may offer new insights into Mars. That’s not to say Hunga Tonga-Hunga Ha’apai is particularly stable. As Maddie Stone at Earther explains, researchers have have kept a close eye on the landmass its formation—and have spotted some dramatic changes. 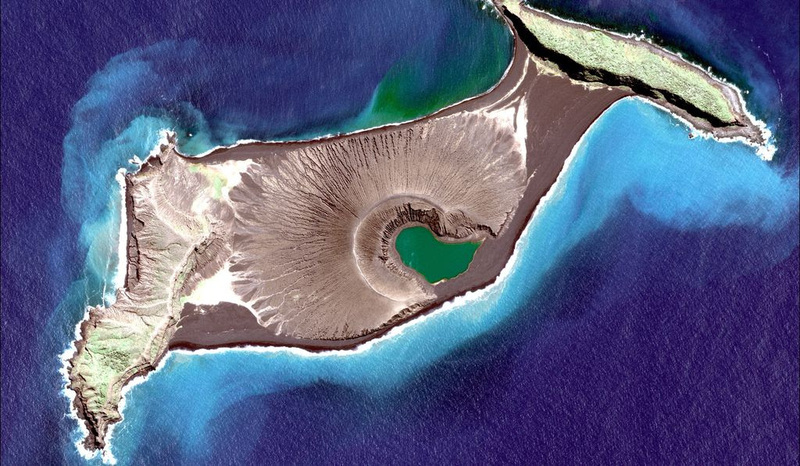 By April 2015, the cliffs around the crater in the center of the island collapsed and eroded, leaving a central lake on the island. Weeks later, a sandbar closed off the crater lake from the open ocean, protecting it from wave erosion.